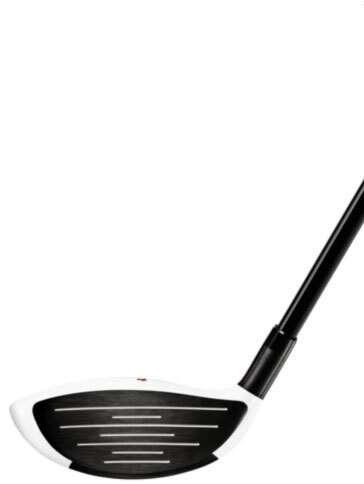 Along with the R11, TaylorMade is also launching a second line of metalwoods in 2011 – The Burner®SuperFast 2.0. With the R11, we saw a continued focus on versatility and greater variety of options for ball flight. The theory behind the Burner SuperFast 2.0 is much simpler: Distance from Speed. The Burner moniker has been around since 1983 and has always been the model designed for big bombing, or the “grip it and rip it” club for maxed out distance. The newest version in this line does not disappoint. 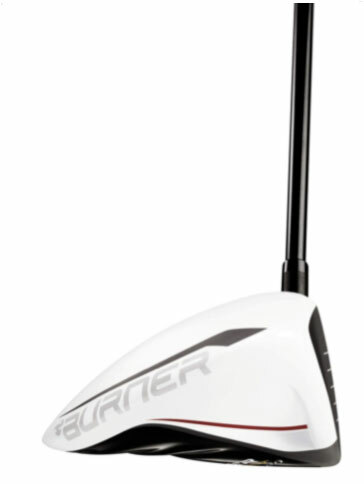 The Burner SuperFast 2.0 Driver is the lightest TaylorMade driver ever at 279 grams. It has a bigger, deeper clubface working with low CG to promote higher launch/lower spin for increased distance. 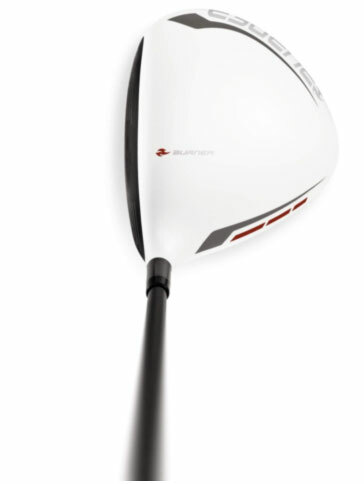 The new head shape and Inverted Cone face technology create the largest sweetspot of any TaylorMade driver to date. At address, you can really see the contrast of the white non-glare crown and black clubface, designed to make alignment easy. Additionally, there is a pretty sweet Burner logo and text included that really stand out against the white crown. 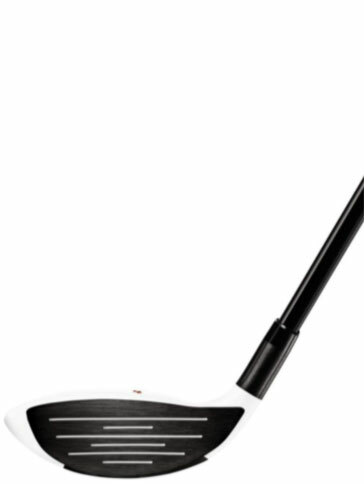 The theme this year for both the R11 and the Burner is the white on black design of the metalwoods. 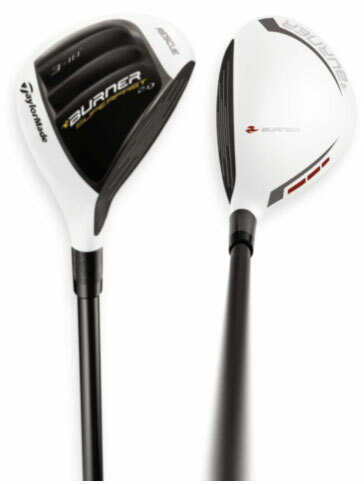 But TaylorMade has done a nice job of incorporating Burner’s speed and distance genes into the club’s aesthetics. While R11, with all its moving parts, looks like a transformer, the Burner has more of an Indy car look and feel that is not only slick, but promotes confidence at address. 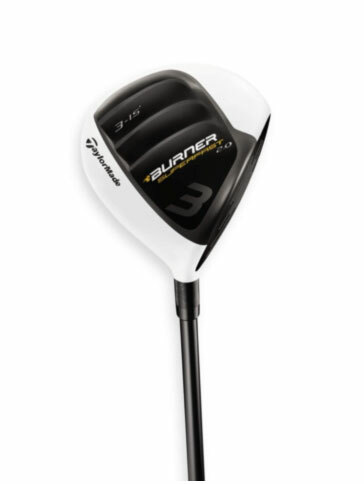 Buy Burner SuperFast 2.0 Fairway Now! The Burner SuperFast 2.0 Fairway Wood has a new head shape, large address footprint and a low CG to promote ease of launch and longer carry than its predecessors. 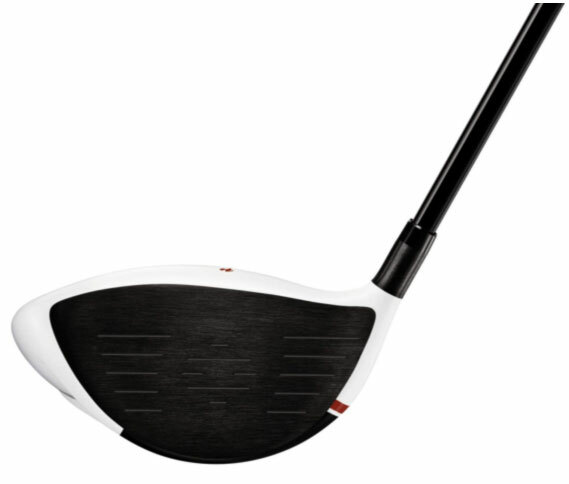 Like the R11 and the 2.0 driver, it features a white non glare crown and black clubface. Buy Burner SuperFast 2.0 Rescue Now! A shallow face and deep center of gravity makes it easy to hit high, soft landing shots from almost any lie.The slightly longer heel to toe design widens the effective hitting area, a key way to improve performance on off center shots. The long shaft and lighter weight promote a faster swing speed for more distance. The black, contrasting clubface gives you confidence where you need it most and more precision when facing lengthy shots from tough lies. The new clubs in the Burner SuperFast 2.0 series are typical of the Burner line, in a good way. We’re talking no-nonsense woods that are long, accurate and extremely forgiving. The longer shafts continue to add more distance to an even lighter club and there is no sacrifice of accuracy for longer flight. And where there is weight, they’ve managed to put it in all the right places to give you lower spin and a penetrating ball flight. The technology, simplicity and sleek design that made the Burner a best-seller in years past are present and improved in this latest edition and will make this a very popular choice among players of all handicaps in 2011.